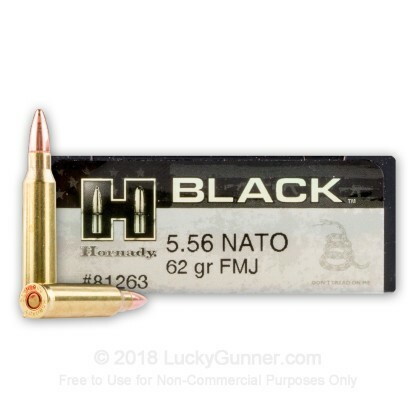 These 5.56mm NATO rounds from Hornady are an exquisite option for zeroing, 3-Gun, and general training or plinking. 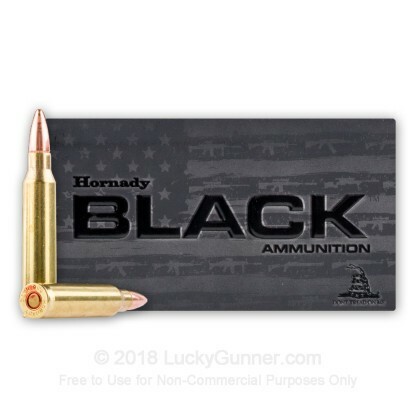 Hornady designed the BLACK brand to be an easily recognizable source of fuel for America's favorite guns. 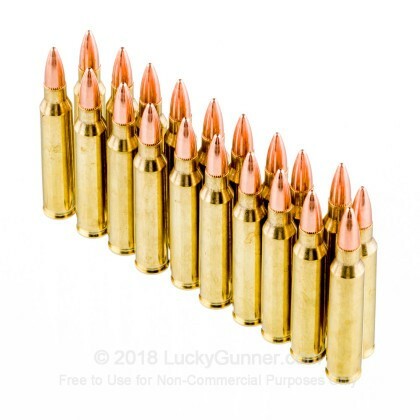 As such, these 5.56x45mm rounds are formulated to run reliably and accurately from a wide range of AR-15 or SCAR-16s configurations with or without a suppressor. 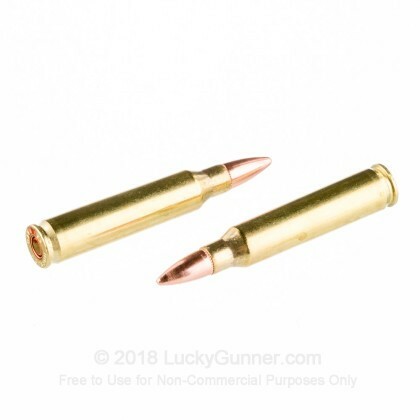 Hornady has been around since 1949 and is well-known around the U.S. for their unique projectile designs alongside their quality finished ammunition. 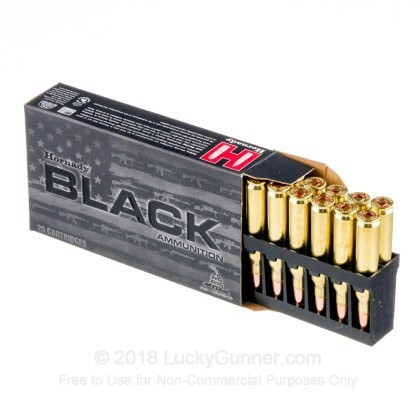 These rounds are assembled using reloadable brass casings filled with clean-burning powder and equipped with non-corrosive boxer primers. 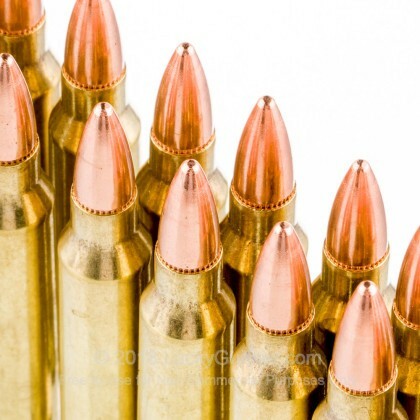 Each case is crimped to the tooth cannelure of a 62-grain lead core full metal jacket (FMJ) projectile which prevents shifting and setback which could mar accuracy or dependable ignition. The 62-grain FMJ will easily match the zero of many practice, sporting, and military loads including the ubiquitous M855 and M855A1. This translates to translatable sighting tables, pain-free bullet drop compensation, and consistent buffer weights.